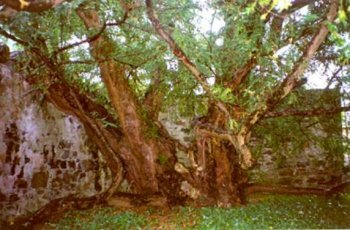 The ancient yew at Fortingall in Scotland is said to be Europe’s oldest living tree. I've purchased many guidebooks and the largest map you've ever seen. 🙂 Your call was incredibly helpful and provided some great background to some of the places that I'm reading about in the books. 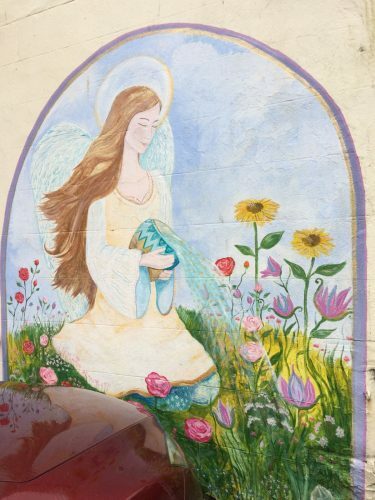 Are you considering touring sacred sites in the UK/Ireland on your own? Now you can create your own self-drive sacred site tours UK Ireland. I have been described as a psychic travel agent! Enjoy a personally created intuitive itinerary, making your vacation easier for you. I have spent most of my life visiting energetic, sacred sites in Scotland, England and Ireland. I’ve helped many arrange their own holiday itinerary when they want to focus their visit on seeing sites relevant to their needs. Each client is individual so I will consider each of your needs. It is beneficial to ZOOM or skype me for an initial consultation, after which I intuit and create your journey according to your interests and needs. If skyping or Zooming is not possible then a few emails are necessary. €60 for initial hour (or pro rata) consultation-limit agreed upon at start. Contact Jackie with your enquiry. I offer an additional option of bespoke notes to accompany your tour. All tours will take into consideration any significant ley lines of earth energies encountered en route. Sometimes I can recommend other guides for sections of your journey to take you to specific sites. These guides act like guardians for the sites on a soul level. Please enquire with your interests. Dear Jackie I have recently completed a spiritual tour of Scotland (west and north and Hebrides) in search of lineage. What I found (unexpectedly!) was a far deeper, clearly spiritual connection which I am now very keen to understand and explore more. Your offer of a personalised self drive tour sounded like exactly the right thing. Your (information) is amazing - I will be tucking myself in with the plan and a cup of tea on Monday. Thank you so much and I am so very thrilled to have your help. Thank you again for your help and knowledge and insights - I will keep you posted. Thank you so much for your help with planning our itinerary through Ireland! I will call you in the next few weeks after I've gone through the list you compiled of destinations, because I know I'm gonna need some more help at that time. I love your detailed focus organizational skills! Your tour places Scotland and information was amazing. I would like more information on the seminars you have.ª If it is more of what I learned from you in just hours, I would still like to save money to come too. Thanks for making this a visit of a lifetime.